SwitchVPN comes from CS Systems, Inc., a Delaware corporation out of the United States. Today, they already boast over 220 servers spread across 38 locations. And provide some of the best support we’ve witnessed so far. But before we get to that, let’s back it up for just a second. We’ve compiled weeks worth of work in this SwitchVPN review. It includes both first-hand experience, as well as quantitative analysis from several third-party sources. Read on to find out whether we give them a thumbs up or thumbs down. 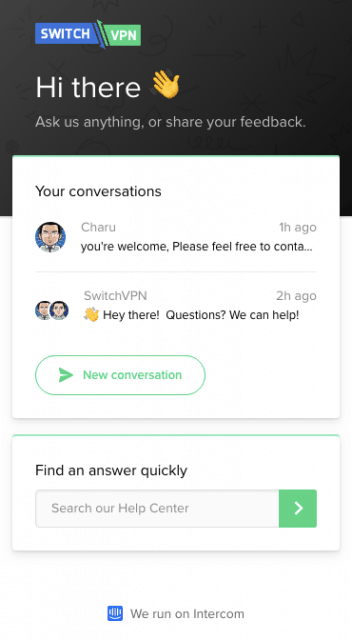 SwitchVPN provides a leak-free, user-friendly VPN connection. That’s backed up by tons of protocol options, strong encryption, and compatibility for almost every major device. Oh, and their support was among the fastest we’ve seen. VPNs create a secure tunnel around your Internet connection. That means no one — not your Internet Service Provider (ISP), government, or the shady dude sitting next to you in the airport — can decipher what you’re doing. If those three were to pick up your signal, it should show that you’re hundreds or thousands of miles away in a different city. 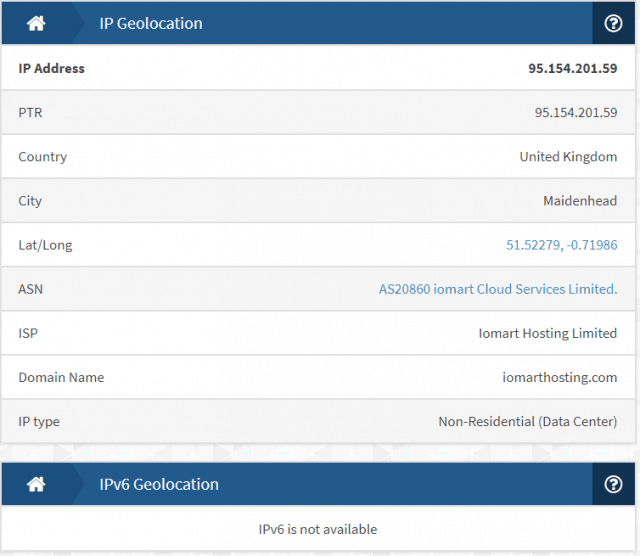 Personal details, like your physical location, should be redirected to the VPNs servers. Unfortunately, it’s not always the reality. Sometimes your VPN is just careless. Or sometimes they flat-out lie about their VPN servers. Either way, you’re left to pick up the pieces when things break down. The good news is that our tests revealed SwitchVPN will not leak your physical location. Their install files also came back clean. We’ve found potential viruses in previous VPNs using VirusTotal. But not this time. We don’t usually put customer support so high on the list. It’s usually buried somewhere below. Especially when the companies takes days to respond to a simple query. Customer support is important. But maybe only after security, privacy, and performance. Other companies we’ve tested have live chat (such as NordVPN). However, there’s nothing live about them. You might literally wait for an hour for a single response. We’ve also had the pleasure (sarcasm) of waiting all that time, only to be given an FAQ URL as the answer. Now, compare that to SwitchVPN. Their support rep, Charu, connected in seconds. Like, less than five. He also started answering my questions immediately. With zero lags or delays between responses. It felt almost like… talking to a real, live, friendly human being. Imagine that! We’ve even gone back several times since then, and received similar results. Helpful, direct answers are just seconds away. Reply turnarounds are instant. And because they’re using Intercom, all of your previous conversations are stored without even logging in (if you’re not already connected to a VPN). This is one of those rare positive times that some user tracking is actually helpful. One of the best we’ve seen across all 78 reviews. Torrenting falls in a gray area. It’s not inherently bad per se. Dozens of tech companies, like gaming giant Blizzard, use it for completely-legitimate purposes, like speeding up downloads of massive files. But just as many (OK, probably lots more) use it to download copyrighted games, movies, and music. So some VPNs won’t allow it. Or they’ll restrict it to the backwaters with only a few P2P servers. SwitchVPN allows torrenting on any of their servers using BitTorrent. Once you have open the connection, you’ll be given a port number to add to your BitTorrent client. We also verified this with support. So you’re good to go! Feel free to start downloading. Just be aware that their jurisdiction, and logging policy, might contain a few surprises. They have a specific DMCA policy that clearly outlines how copyright holders can bring up concerns. That means you stand a good chance to be on the receiving end if you run afoul of the law. But more on that below in the Cons. For now, just rejoice that torrenting is fully supported. ‘Convenience’ means many things with a VPN. Ideally, you just want the damn thing to work. You don’t want to have to jump through hoops to get a connection setup. You also want it to work across the devices you use. And you don’t want to have to do a lot of extra configurations. SwitchVPN features bank-grade AES-256 encryption across five different protocols: OpenVPN, L2TP/IPSec, IKEv2, SSTP, and Socks5. So they have options, but default to industry-standard criteria to keep you safe. Beyond that, they have native apps for Windows, Mac, iOS, and Android devices. You can connect five of these simultaneously. But if you set up SwitchVPN on a router (they recommend an Asus one), you can extend that number and use it with gaming consoles. They work with Smart TVs (Android-based). And the Tor browser, which is perfect for those looking for an additional layer of anonymity. Last but certainly not least, they have a kill switch. This little handy feature is like an insurance policy. If your network connection drops at any time, the kill switch will immediately close all active sessions. That might sound bad, but it isn’t. It prevents your ISP, the websites you’re visiting, or anyone else to pick up on your location and browsing session data. Their app is extremely user-friendly. The user interface reminded us a lot of ExpressVPN. A few minor hiccups along the way, though. The first was that you can only select countries – no specific server locations. Odd, but not a deal breaker. The second was the installation process took a really long time for some reason. It took forever to download files from their servers. Finally, verifying payment can take up to 24 hours, depending on what you use. Ours didn’t take quite that long, thankfully. But be warned. Netflix worked on one out of five servers we’ve tested. That’s not amazing. Some of the best VPNs for Netflix work on five out of five tests we run. But it’s still respectable considering the climate. Streaming services have aggressively gone after VPN users in the last two years. They are getting better and better at identifying VPN servers and shutting down thousands of people with one fell swoop. Many VPNs we’ve reviewed have literally given up entirely. They simply tell you up front not to bother. So we’ll give SwitchVPN the benefit of the doubt on this one. They only unblocked Netflix on United States, Chicago server. SwitchVPN’s good stuff was good. The connection was solid, customer support amazing, and even a Netflix server worked. No VPN is perfect. And that’s also the case with SwitchVPN. VPN jurisdictions have their own pluses and minuses. Take SwitchVPN, for example. They’re located in the U.S.A. So already, we can start drawing a few conclusions after reviewing over 70 other companies. American VPN companies typically offer leak-free products with strong support. Not always. But those things were certainly true with SwitchVPN. There are common drawbacks, too. At the top of the list is always their government surveillance. The U.S. was also one of the founding members of the Five Eyes security alliance. That means any collected data can (and will) be shared freely with many other governments around the world. If it was just five countries still, it wouldn’t be so bad. But it’s been expanded to 14 over the last few decades. If true anonymity is your goal (as opposed to just security), you’d probably want to steer clear of most American VPN companies. Because they’re all going to give you the same problems, along with some questionable logging policies. SwitchVPN has a “zero logging policy.” Like pretty much every other VPN company. The trick is to dig a little deeper. True to their word, they do not collect any traffic or VPN use. But they do collect a bunch of other stuff. Some of it is harmless. They need payment information, for example, for tax reasons. None of that is a big concern. However, largely because of their location, they do admit that they’ll release your Personally Identifiable Information (PII) if there is cause for concern. SwitchVPN’s speed tests place them at number 28 out of 78 we’ve reviewed. Not awful, but not great, either. Here’s how we come up with these numbers. The first step is to get a read on our ‘clean’ connection speed. So we run a test using SpeedTest.net to see what our standard internet connection speed looks like. Ours came in at 97.00 Mbps download and 53.00 Mbps upload. Next, we switch on the VPN in question, and connect to a couple different servers in different parts of the world. Oomph. Not good. Speeds were over 70% slower across the board. Let’s try again and see if this one was an anomaly. Yikes. More of the same. That’s troubling, because it seems like their servers are consistently struggling. Compare that to a few VPNs we’ve tested that only provide around a dozen or so. In that case, you’re screwed. When there are too few servers, the chances of being able to find multiple ones close to you is slim. And your odds of getting into a Battle Royale with other customers over stretched-thin server resources is high. 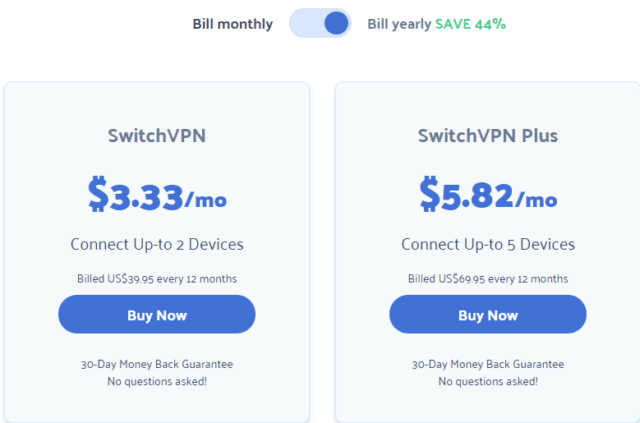 You can buy SwitchVPN Plus on a month-to-month basis for $9.95/month without any bandwidth limits. Otherwise, you can commit to a full year and save 42% for only $5.82/month. Both plans come with the same exact features, so the only difference is the term you sign up for and the price you pay. The ordinary plan is much cheaper: $3.33/moth for the annual plan and $5.95/month on a month-to-month basis. You can use all major credit or debit cards from Visa, MasterCard, American Express, or Discover. International users can use PayPal or Alipay. And those wishing to stay truly anonymous can use both Bitcoin. Unfortunately, there is no free trial. But they do offer a full 30-days to try out their VPN service, and get your money back if you’re dissatisfied. So a $10 bet will get you thirty days to see if the awesome customer support is worth slightly slower speeds. Overall? No, I cannot recommend this VPN software. We loved several things about SwitchVPN. But we do have some serious reservations. First is their U.S. location. No matter what they do, no matter how strong their privacy features, there will always be a risk that your data will be sent to authorities if needed. And once that happens, it’s going to make its way around several other countries, too. While their server speeds were consistent in our tests, they were consistently slow. Which ain’t good. A one-off server issue could be explained away. It wouldn’t be the end of the world. But several servers coming in at the same slow speed? That hints at a bigger issue under the surface. So overall, while there were plenty of things to like about SwitchVPN, we’d recommend a better all-around performer like NordVPN or ExpressVPN.